Each year the PVC celebrates the accomplishments of the senior class with a grand banquet attended by families, friends, coaches, staff and many others in the Princeton community. The PVC will host the Gary Walters ’67 PVC Awards Banquet on the evening of Thursday, May 26th to honor the great Class of 2016. The event will once again be held at the base of the picturesque Cleveland Tower at the Graduate College, on the Princeton University campus. There are multiple sponsorship opportunities with this year’s Gary Walters ’67 Princeton Varsity Club Awards Banquet. Additional sponsorship information to follow. All-American Table Sponsorship – $1,000, includes all eight seats, recognition in the event program and your table name prominently displayed on the table. All-Ivy Table Sponsorship – $500, includes two seats and recognition in the event program. Letter Sweater Sponsorship – $150, includes recognition in the event program and on a card which will be presented to a graduating student-athlete with their Princeton letter sweater – does not include tickets. 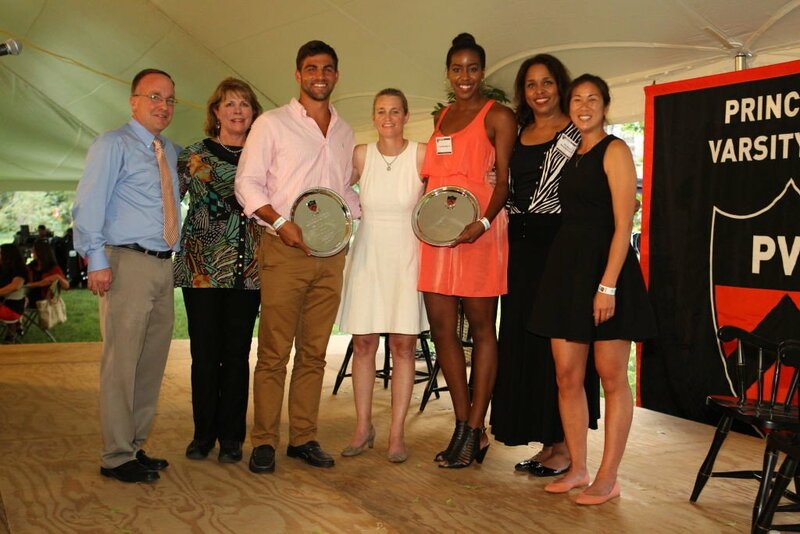 The Gary Walters ’67 PVC Awards Banquet is the year-end, capstone event of the Princeton Varsity Club and celebrates the accomplishments of individual members of the Princeton Athletics community, including senior student-athletes, alumni, friends and staff, as well as the Class of 2016 as a whole.